Have you noticed the rainbow Pride colours burgeoning in our beautiful community? One might say it’s Pride, Pride and more Pride in the past month! Or perhaps, ode to a picnic table, a flag and a lighthouse? It’s been an exciting season! 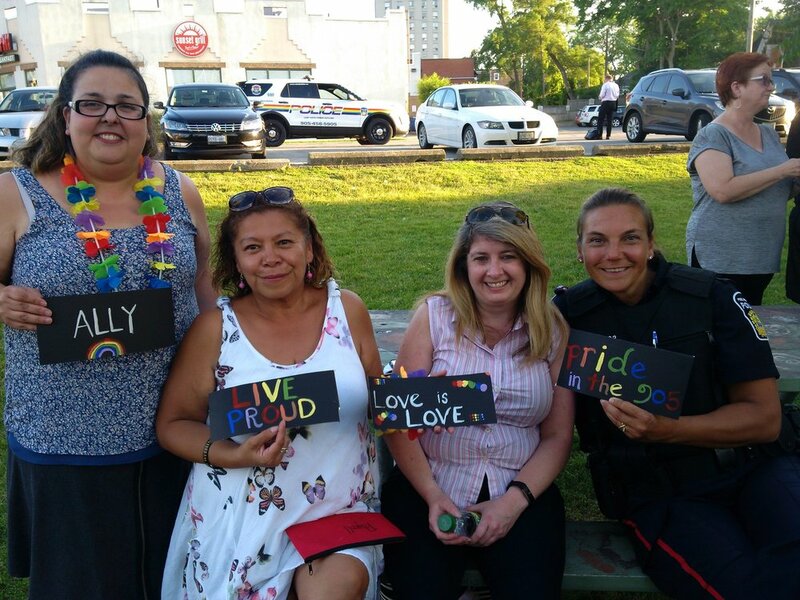 Peel’s first ever public art installation honouring the LGTTIQA2S community was unveiled on May 14th: a pride-coloured picnic table. At the northeast corner of Front St. and Lakeshore Rd. West, the bench is the result of a collaboration between Jo-Anne Beggs, RSW, late Ward One Councillor Jim Tovey, staff and students of Peel District School Board’s Peel Alternative School South (PAS), and Mississauga Parks and Forest. A member of the LGBTTIQA2S community, Jo-Anne had met with Councillor Tovey to discuss insights, from a professional and personal perspective, regarding this community’s need for acknowledgement and reflection of the LGBTQ+ reality in the social environment, and the opportunity to engage in such actions. Councillor Tovey seized the opportunity, City Parks and Forests were engaged to secure a picnic table, and PAS staff and students designed and painted the bench. The unveiling was a celebratory event and well attended. June is Pride month and the Port Credit BIA was right on time in raising the Pride flag at the Port Credit lighthouse! Another first! Positive feedback from members of the LGBTQ+ community and allies has been overwhelming. On the anniversary of the Stonewall Rebellion, Thursday, June 28, the LGBTTIQA2S community and allies are invited to a Potluck Picnic at the Pride picnic table. From 6-8 p.m., let’s party, celebrate Pride and be witness to yet another first, the lighting of the Port Credit lighthouse in the Pride colours! 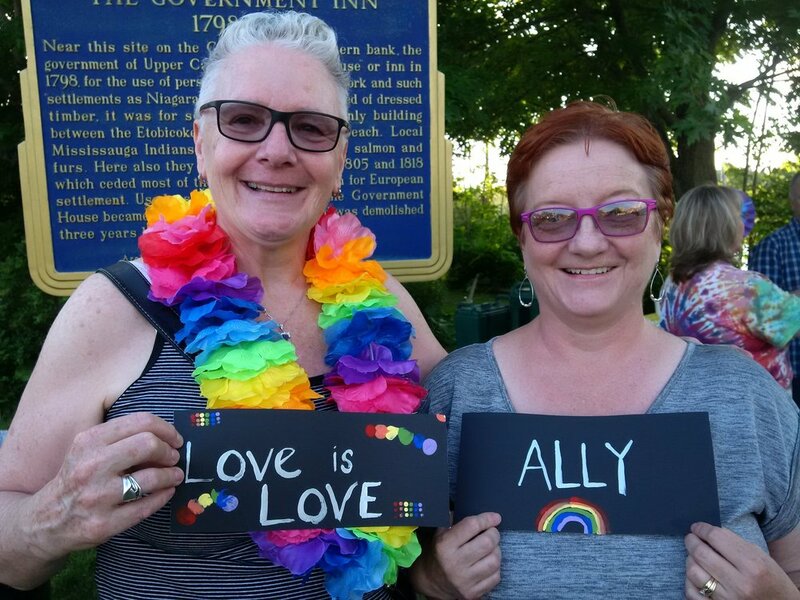 It’s been a season of Pride in Port Credit. Acknowledgements to all allies involved for truly #PromotingPrideInThe905.